You will notice a new orange banner appearing at the top of your screen called “Latest Developments”. In this section we are offering new features, and we will introduce other features later in the year…. We are looking for another big year providing lots of value-added commentary and analysis. I am always interested in your feedback so feel free to email me at williambyrnes@gmail.com. You will notice a new orange banner appearing at the top of your screen called “Latest Developments”. In this section we are offering new features, and we will introduce other features later in the year….· Tax Facts Intelligence Weekly – current as well as archive weekly newsletters you receive in email today as another way to access our latest developments. The IRS clarified when an employer can recover health savings account (HSA) contributions made in error. Generally, erroneous HSA contributions must be corrected by reducing future contributions. The IRS Office of the Chief Counsel released an information letter stating an employer can recover mistaken contributions if the employer has clear documentary evidence that demonstrates an administrative or process error that caused the mistaken contribution. Examples of correctable mistakes provided by the IRS include situations where the participants’ names were confused, mathematical errors and duplicate payroll transmittals. For more information on excess HSA contributions, visit Tax Facts Online and Read More. The 8th Circuit denied the bankruptcy exemption for retirement plan assets that the debtor acquired incident to divorce. Qualified plan assets and up to about $1.3 million in IRA assets are usually protected from creditors in bankruptcy. In this case, the debtor received a portion of his former spouse’s 401(k) and her entire IRA in their divorce settlement, via a domestic relations order. The courts relied upon the Supreme Court’s prior ruling that inherited IRAs are not exempt in bankruptcy in concluding that assets acquired through a divorce are not primarily retirement assets of the debtor. Instead, the assets represented a property settlement, so were not entitled to any type of special treatment in bankruptcy. For more information on the treatment of qualified plans in divorce, visit Tax Facts Online and Read More. EEOC regulations that were recently vacated and removed focused incentives an employer could offer without rendering the program impermissibly involuntary. Although the incentive based regulations were removed, the remaining regulations provide some clarity on this “voluntariness” issue. The program may not require employees to participate, and the employer is not permitted to deny health coverage or limit group health plan or other benefits if the employee chooses not to participate in the program. The employer cannot take an action that would be considered retaliation or take any adverse employment actions for non-participation. For more information on the rules that currently govern employer-sponsored wellness programs, visit Tax Facts Online and Read More. William H. Byrnes, J.D., LL.M. and Robert Bloink, J.D., LL.M. the weekly tax debate transcribed from Tax Facts authors Professors Robert Bloink and William Byrnes, both of Texas A&M University Law School’s Wealth Management graduate program for professionals. Should Annuity Products Get a Fiduciary Safe Harbor? Should Tax Hikes Need Supermajority Vote? Does DOL’s HRA Proposal Go Far Enough? Should 2017 Tax Changes Be Permanent? Is the Proposed Child Tax Credit Even Needed? Is Inflation Indexing of Capital Gains Good? Are New USA Plans a Boon to Savers? Was It Right to Kill the DOL Fiduciary Rule? Is DOL Rule on Health Plans Bad? Since the introduction of Section 199A, business owners engaged in real estate activities have been confused by the new 20 percent deduction for qualified business income of certain pass-through entities. IRS proposed Revenue Procedure 2019-07 provide a safe harbor so that rental real estate businesses will qualify as “trades or businesses” if it: (1) maintains separate books and records for each rental enterprise, (2) involves the performance of at least 250 hours of rental real estate activities, and (3) maintains contemporaneous records regarding the rental real estate services. The safe harbor is effective for tax years ending after December 31, 2017. For more information, visit Tax Facts Online and Read More. The IRS has recently finalized the methods that a business owner can use to track W-2 wages for calculating the Section 199A deduction. The new guidance clarifies that, in the case of short taxable years, the business owner is required to use the “tracking wages method” with certain modifications. The total amount of wages subject to income tax withholding and reported on Form W-2 can only include amounts that are actually or constructively paid to the employee during the short tax year and reported on a Form W-2 for the calendar year with or within that short tax year. For more information on the methods available for calculating W-2 wages for Section 199A purposes, visit Tax Facts Online and Read More. A court recently ruled that an employer was required to pay life insurance benefits to an employee under a life insurance policy insuring her former spouse, which was offered by the employer as a dependent life insurance benefit. When the employee’s former husband died within three months’ of their divorce, her claim for benefits under the policy was denied because she was not an “eligible dependent” because of the divorce. The employee made several claims, including one that the she was not provided a summary plan description (SPD) with respect to the policy. The court agreed with the plaintiff’s claim that failure to provide the SPD was a breach of fiduciary duty under ERISA. For more information on employer-sponsored life insurance, visit Tax Facts Online and Read More. The SEC recently proposed a rule change designed to improve disclosures with respect to variable annuities and variable life insurance contracts. The new disclosure obligations would help investors understand the features, fees and risks to these types of products in an effort to allow investors to make more informed investment decisions. Under the proposal, annuity and life insurance carriers would be entitled to provide information to investors in a summary prospectus form that would provide a more concise summary of the terms of the contract. For more information on variable annuities, visit Tax Facts Online and Read More. Qualified plans can to allow participants to take hardship distributions to help with the purchase of a primary residence. The distribution must be directly taken to purchase the residence–items such as renovations made prior to move-in do not qualify. Despite this, the distribution can cover more than just the purchase price of the residence itself. Closing costs would also qualify, as would the cost of a piece of land upon which the primary residence would be built. If a participant buys out a former spouse’s interest in a jointly-owned home pursuant to divorce, the distribution would also qualify. For more information on the hardship distribution rules, visit Tax Facts Online and Read More. Most taxpayers believe that they are not required to file a gift tax tax return if they do not owe gift taxes–as many will not because of the current $11.18 million gift tax exemption will shield most donors from gift tax liability. Despite this, each gift made during a donor’s lifetime serves to reduce that $11.18 million amount, which applies both to lifetime gifts and transfers made at death. Taxpayers must file Form 709 to report taxable gifts in excess of the annual exclusion amount to avoid potential IRS penalties for failure to file a return. The form is required not because gift taxes are owed, but to provide the IRS with a mechanism for tracking any given taxpayer’s use of the exemption amount during life. For more information on the gift tax filing requirements, visit Tax Facts Online and Read More. Two global banks and more than a dozen hedge funds misused a complex financial structure to claim billions of dollars in unjustified tax savings and to avoid leverage limits that protect the financial system from risky debt, a Senate Subcommittee investigation has found. In Tax Tip 2014-56, the IRS provided 9 tax facts that a taxpayer needs to know about late filing and late paying tax penalties after the deadline of April 15. By example, taxpayers should be made aware that the failure-to-file penalty is usually 10 times greater than the failure-to-pay penalty. So the IRS encourages taxpayers to file on time, even if they cannot pay on time. 1. If a taxpayer is due a federal tax refund then there is no penalty if the tax return is filed later than April 15. However, if a taxpayer owes taxes and fails to file the tax return by April 15 or fails to pay any tax due by April 15, then the taxpayer will probably owe interest and penalties on the tax still after April 15. 2. Two federal penalties may apply. The first is a failure-to-file penalty for late filing. The second is a failure-to-pay penalty for paying late. 3. The failure-to-file penalty is usually much more than the failure-to-pay penalty. In most cases, it is 10 times more!!! So if a taxpayer cannot pay what is owe by April 15, the taxpayer should still file a tax return on time and pay as much as possible to reduce the balance. 4. The failure-to-file penalty is normally 5% of the unpaid taxes for each month or part of a month that a tax return is late. It will not exceed 25% of the unpaid taxes. 5. If a taxpayer files a return more than 60 days after the due date (or extended due date), the minimum penalty for late filing is the smaller of $135 or 100% of the unpaid tax. 6. The failure-to-pay penalty is generally 0.5% per month of your unpaid taxes. It applies for each month or part of a month your taxes remain unpaid and starts accruing the day after taxes are due. It can build up to as much as 25% of the unpaid taxes. 7. 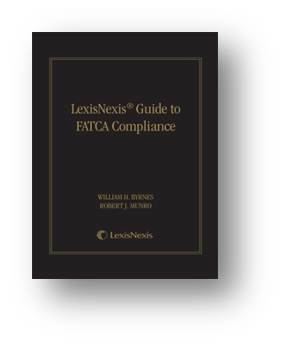 If the 5% failure-to-file penalty and the 0.5% failure-to-pay penalty both apply in any month, the maximum penalty amount charged for that month is 5%. 8. If a taxpayer requested the 6-month extension of time to file the income tax return (until October 15) by the tax due date of April 15 and paid at least 90% of the taxes that are owed, then the taxpayer may not face a failure-to-pay penalty. However, the taxpayer must pay the remaining balance by the extended due date. The taxpayer will still owe interest on any taxes paid after the April 15 due date. 9. A taxpayer may avoid a failure-to-file or failure-to-pay penalty if able to show reasonable cause for not filing or paying on time. What are the tax advantages of owning exchange-traded funds (ETFs)? How are dividends received from a mutual fund taxed? How Will The Lifetime Learning Credit Help Pay My Higher Education Tuition? The IRS’ Tax Tip 2014-41 answers this question, in conjunction with its > online publication < . Limited to $2,000 per tax return, per year. Limited to the amount of the tax due for that year. For the cost of tuition and required fees, plus books, supplies and equipment. The taxpayer’s school should provide a Form 1098-T, Tuition Statement, showing expenses for the year. File Form 8863, Education Credits, to claim these credits on the tax return. The credit is subject to income limits that could reduce the credit amount. A tax credit reduces the amount of income tax a taxpayer may have to pay. Unlike a deduction, which reduces the amount of income subject to tax, a credit directly reduces the tax itself. The lifetime learning credit is a nonrefundable credit. This means that it can reduce tax owed to zero, but if the credit is more than the tax owing then the excess will not be refunded. The amount of the lifetime learning credit is phased out (gradually reduced) if MAGI is between $53,000 and $63,000 ($107,000 and $127,000 if you file a joint return). For 2013, by example, a taxpayer cannot claim a lifetime learning credit if MAGI is $63,000 or more ($127,000 or more if a joint tax return). Exclusion of income by bona fide residents of Puerto Rico. In Tax Tip 2014-34, the IRS provided 6 tax tips for self employed taxpayers. Self-employment income includes income received for part-time work. This is in addition to income from a regular job. A self employed taxpayer must file a Schedule C, Profit or Loss from Business, or Schedule C-EZ, Net Profit from Business, with your Form 1040. A self employed taxpayer may have to pay self-employment tax as well as income tax if a profit was earned. Self-employment tax includes Social Security and Medicare taxes. Use Schedule SE, Self-Employment Tax, to calculate whether any self employment tax is due. A self employed taxpayer may need to make estimated tax payments. Taxpayers typically make these payments on income that is not subject to withholding. A taxpayer may be charged a penalty if not paying enough estimated taxes throughout the entire year. A self employed taxpayer can deduct some expenses paid to run your trade or business. A self employed taxpayer can deduct most business expenses in full, but some must be ’capitalized.’ Capitalization means that the deduction will be limited to just a portion of the expense each year over a period of years. By example, only the first $5,000 of the “start-up” expenses for a new business of the taxpayer is potentially deductible, and not until the year in which the active trade or business begins. All other start up expenses must be amortized over a 180-month period, beginning with the month the business starts. Thus, start up expenses in general are only deductible over this 180 month period, and not in the year actually incurred. A self employed taxpayer can deduct business expenses only if the expenses are both ordinary and necessary. An ordinary expense is one that is common and accepted in an industry. A necessary expense is one that is helpful and proper for the trade or business. 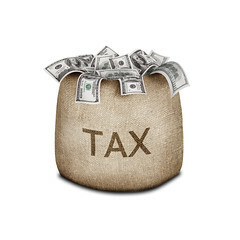 What do I need to know about the Health Care Law for my 2013 Tax Return? The IRS stated in Health Care Tax Tip 2014-10 that for most taxpayers, the Affordable Care Act has no effect on the 2013 federal income tax return. For example, for the 2013 tax return a taxpayer does not yet report health care coverage under the individual shared responsibility provision or claim the premium tax credit. Reporting of these items start with the filing of the 2014 tax return (which will only happen between late January and April 15, 2015). However, the IRS alerted that some taxpayers people will be affected by a few provisions, including two new medical taxes and a reduction in the ability to take a deduction for medical expenses incurred during 2013. See (1) increases in the itemized medical deduction threshold, (2) additional Medicare tax and (3) net investment income tax. The IRS reminded taxpayers that the employer’s reporting of a taxpayer’s value of health care coverage is not taxable (the new box 12 employer health care reporting requirement, identified by Code DD on an employee’s Form W-2) . Information available about other tax provisions in the health care law: More information is available regarding the following tax provisions: Premium Rebate for Medical Loss Ratio, Health Flexible Spending Arrangements, and Health Saving Accounts. The IRS published tax tip HC-TT- 2014-05 alerting taxpayers that Obama Care has provisions that may affect personal income taxes. How Obama Care affects a taxpayer depends on employment status, whether the taxpayer participates in a tax favored health plan, and the taxpayer’s age. If a taxpayer is employed then the employer may report the value of the health insurance provided on the W-2 in Box 12 with a Code “DD”. However, this amount is not taxable. If a taxpayer is self-employed, then the taxpayer may deduct the cost of health insurance premiums, within limits. If a taxpayer has a health flexible spending arrangement (FSA) at work, money added to it normally reduces taxable income. If a taxpayer has a health savings account (HSA) at work, money the employer adds to it, within limits, is not taxable. Money added to an HSA usually counts as a deduction. Money used from an HSA for “qualified medical expenses” is not taxable income; however, withdrawals for other purposes are taxable and can even be subject to an additional tax. If a taxpayer has a health reimbursement arrangement (HRA) at work, money received from it is generally not taxable. If a taxpayer is age 65 or older, the threshold for itemized medical deductions remains at 7.5 percent of Adjusted Gross Income (AGI) until 2017; for others the threshold increased to 10 percent of AGI in 2013. AGI is shown on Form 1040 tax form. IRS Small Business Tax Center …. IRS Tax Tip 2014-09 posted February a couple weeks ago and I excerpt relevant portions for the small business community, many actively engaging with their tax preparers for tax season. You can apply for an Employer Identification Number, get a form or learn about employment taxes. IRS Video Portal. Watch helpful videos and webinars on many topics. Find out about filing and paying business taxes or about how the IRS audit process works. Under the ‘Businesses’ tab, look for the ’Small Biz Workshop.’ Watch it when you want to learn the basics about small business taxes. Online Tools and Educational Products. The list of Small Business products includes the Tax Calendar for Small Businesses and Self-Employed. Install the IRS CalendarConnector tool and access important tax dates and tips right from your smart phone or computer, even when you’re offline. Small Business Events. Find out about free IRS small business workshops and other events planned in your state. Will a Twitter Freeze Slash Your Thanksgiving Weight Gain or Your Client’s Tax Bill? While you think about how to reduce your weight, after the glutinous consumption of the Thanksgiving meal today, also consider how to reduce your client’s estate tax before an investment pays off. The Twitter executives developed a plan to reduce their eventual gift and estate taxes in advance of their IPO. The IPO has cause the value of the company to skyrocket. But your client does not have to own Twitter stock to leverage the Twitter tax plan…. In fact, a closer look at the planning strategies employed by Twitter shows that your client does not have to be sitting on the next hot silicon valley IPO to benefit from their use. Even if your client does not own pre-IPO shares, the freeze and discounting strategies used can save them from a hefty tax bill.